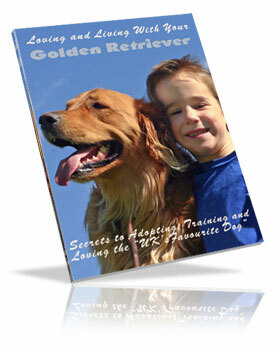 If you would like to to earn money by helping sell our “Loving & Living With Your Golden Retriever” eBook, why not join our affiliate program? If you have a blog, a website, an e-mail list or even just a Facebook account, you can make good money by simply promoting a link to this site. Every time a sale is made, you will earn commission. It is very easy and straight forward to do. If you haven’t joined Clickbank already, you can do so here. Our affiliate program is run through Clickbank for maximum security. Signing up is really easy and only takes 2 minutes. Best of all is Absolutely FREE. We use this URL to track how many sales you make for us so that we can pay out what you have earned. To make your affiliate URL simply replace the XXXXX below with your own unique Clickbank ID (nickname). Now there are many ways to send traffic to my site, If you have a blog or a website you can place links on it, or if you have an email list simply send them an email promotion. Most of us have a page on Facebook or similar social networking sites. If so, post the link you created above, in your next status update. Perhaps write a mini-review of the site or the eBook if you have purchased it. Change ‘Click Here’ with the text you would like to use to link to us. Affiliate commissions are tracked through Clickbank, The Internet’s largest retailer of digital products. You’ll earn a whooping 50% commission on all sales of my eBook! Clickbank processes all transactions, and they’ll email you a commission check twice a month. It really couldn’t be any easier.